Hot on the heels of yesterday's e-mail plea to employees from GM's Troy Clarke comes the following e-mail from GM's Mark LaNeve. 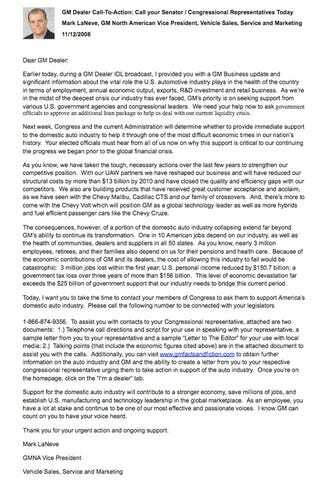 The General's marketing maven e-mailed dealers asking for them to make calls to their members of Congress asking them to "Save GM" from the grips of the Financiapocalypse. Hey, we just noticed, how come neither GM exec is asking for GM fanboys to buy a t-shirt? How can they "Save GM" without a t-shirt? Hmm...at least buy a button.